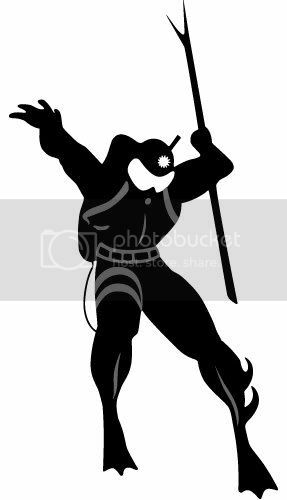 There probably isn't a single person that likes Electro/Techno that does not know the name Drexciya. It has become a staple name for anyone that has been into this music for years or is just getting into it. Drexciya's influence on this style of music was so profound, that it's true effects will not be truly known for years to come. Nice review. Only wondering why the reviewer thinks only one partner was involved in production? Now get down to earth really. James Stinson was not a seclusive person. He was busy, very busy. I remember from one interview that Juan Atkins and another detroit worker invaded his studio. James being James he continued pressing the keys and asked in the process why they visited. Kind of flabbergasted (because of the track playing) Juan and his friend apologised. After a short consult with a friend James invited them to play along. Popular belief has always been that James Stinson alone was Drexciya, although some references like Discogs and Wikipedia mention that it is also thought that Gerald Donald from Dopplereffekt was a member. After our meeting with AUX 88 in Detroit during DEMF, it was revealed to us that it was in fact one of the ladies from the group that had been involved. Although this is as reliable a source as you could get, we have left it as a "rumor" due to a lack of confirmation, and are respecting the fact that the important online references do not mention this. The article does not say he didnt work with anyone else, nor do we get into collaborations. We are simply discussing Drexciya alone and who the primary members were or might have been.